PUMA CATch up>>SPORTSTYLE>>Are you ready for Sonic The Hedgehog? Gotta go fast: Are you ready for Sonic The Hedgehog? Proof of this is provided by PUMA and SEGA, who have teamed up to bring you the all-new RS-0 sneaker, a reworked version of our classic 1980s Running System line. The new kicks will be launched this summer – with the help of a hedgehog. Wait a minute. A hedgehog? Admittedly, the prickly fellows might be an unlikely source of inspiration when it comes to creating ultra-fashionable running shoes. Unless, of course, the hedgehog in question is known for its natural coolness and unmatchable speed! For Sonic The Hedgehog, the beloved character from SEGA’s eponymous video game franchise, this is certainly the case. Our collaboration with the Japanese video game publisher in order to provide you with some Sonic-themed sneakers is perfectly logical. We’re excited to be able to partner with such a fun and innovative brand with a longstanding history in popular culture. We are one with SEGA in always pushing the boundaries forward and are very proud of the fantastic result of this collaboration. Adam Petrick, Director for Brand & Marketing at PUMA. The partnership with SEGA was announced at a panel during this year’s SXSW in Austin, Texas. A short teaser video showing footage from the iconic games also revealed that the new sneaker will feature a blue upper with bright pops of red, green and yellow. 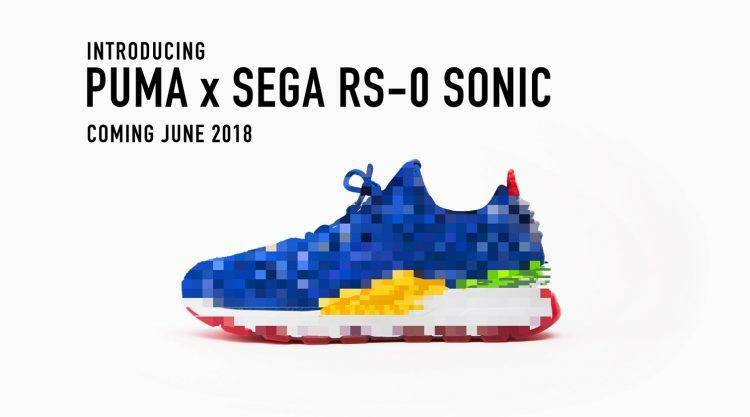 At the moment, we do not want to give away too much, but the speed enthusiasts among you can catch a first glimpse of the new PUMA x SEGA RS-0 SONIC in the trailer video in the sidebar. Stay tuned for more details around the new style dedicated to the blazingly-fast hedgehog over the coming weeks. 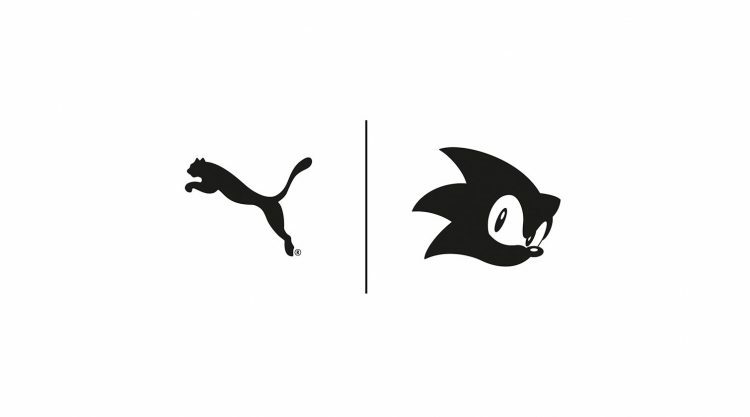 Follow @PUMASportstyle and @sonicthehedgehog. 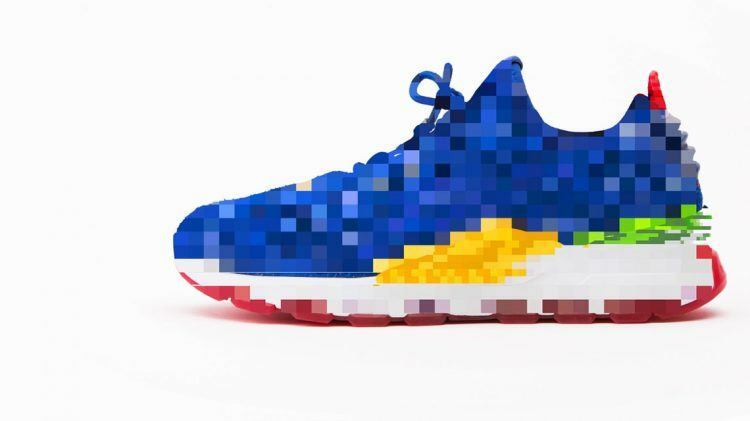 The new PUMA x SEGA RS-0 SONIC are set to go on sale this June. Sonic the Hedgehog is a video game franchise created and produced by Sega. The protagonist of the series is a blue hedgehog named Sonic, who is able to run at supersonic speeds. His peaceful life is often interrupted by Doctor Eggman, an evil scientist whose ambition is to conquer the world. The first game in the series was released in 1991 and was a great success, spawning many sequels.